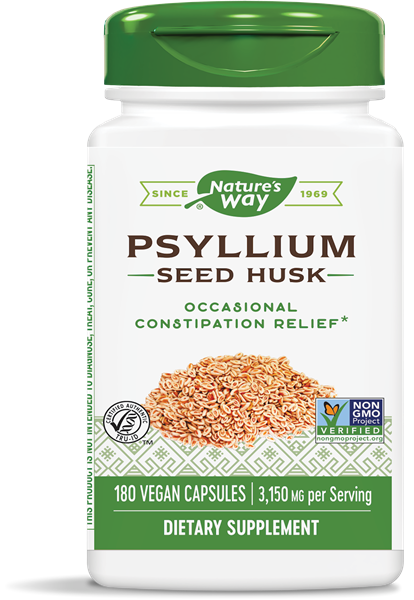 Psyllium Husks / 180 Vcaps - Nature's Way®. Drink a full 8 oz. glass of liquid with each dose. Adults/children 12 years of age and older: Take 6 capsules once daily. Children 6-12 years of age: Take 3 capsules once daily. Children under 6: Consult a doctor.